There is no comparison of space program in between India and China. Our program is entirely different than Chinese. 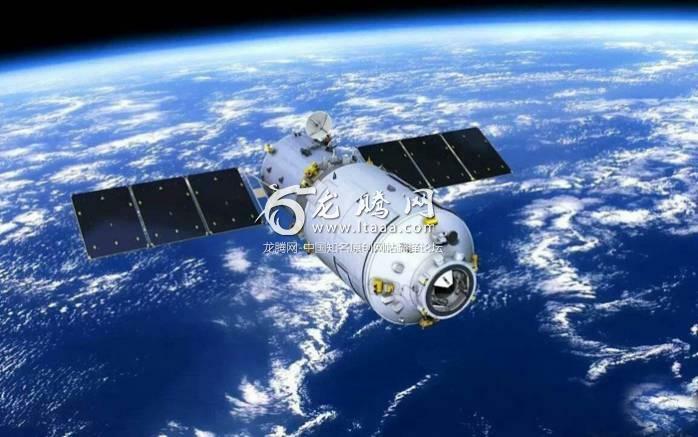 Moreover, China outright procured Soyuz program lock, stock and barrel from Boris Yeltsin's Russia at considerable low price and started their space program. whereas India's program is made out of scratch. As for an example India could send a satellite to Mars that is rotating on Mars space where is Chinese one? Show one good quality Make In India product that is respected all over the world? Don't speak, don't boast, don't tell. Just do. Dont read, dont write, just ignore then. No! India is NOT less than China. India is more than China. In Indians mind India is always better than China. Indians prefer to shut their eyes to live in a fantasy world of India First and India the Greatest. But then why are all Indians are so anxious to migrate to the USA, Aussie, UK, even Arab countries which treat Indians as subhuman and pure slaves? oh man!! you gave it away when you say "we are no less than them". only the one who is second says that. dont get into stupid race. work on what people of this country need. all will be good. hahaha... Chinese are losing the market after shaking hands with panhoti Pakistan.... that's what happens when dragon tries to make friend with black mice..
Oh most definitely, most definitely! People don't realize how powerful India was historically they will now know as we release upon them like a black cloud from field burning. LOL.. True initially... But, everything else is ISRO and joint venture with Russia and Israel, which produce beautiful things. Like BrahMos and Barak 8. BrahMos being the fastest supersonic missile in the world and Barak 8, among the best. China is all about stealing, copying and re-engineering inferior products. US at this point is struggling to, create high tech weapons. ISRO is doing well but comparison with China is thoroughly unjustified. There last manned mission a few years AGO had THREE astronauts aboard. A feat India unlikely to achieve any time soon. We are proud of ISRO. But we have to accept the truth. Isro is 50 years behind NASA, 30 years behind Russia and 15 years behind China. Except Mars mission, we are lagging in all other field to China. You under estimated Indians. Indians try to win by any means. It may not work as Indians wants, as evidenced by ZERO Indian gold in Olympics. But if BIG mouth boasting and bragging is an Olympic event, Indians would have won all golds. BTW, never ever try to win any argument with Indians. China found that out way back in 1960's and finally had enough of it and gave Indians what they deserved. Your overly pessimistic outlook and rather blatant disregard for other people is disheartening. Indian culture is very different from Chinese culture, but ultimately, we are all people, and one should attempt to understand each other rather than divide. That which we learn from each other which is good, we adopt, that which we learn which is bad, we reject and hopefully educate them as well that it is bad. No, India would have conquered China, making it a Chini Pradesh of the Indian unx. Every Chini would bow to Hindus, jus tlike Hindu bowed to the British. Would that be great? But it could be the other way around, with Pakistan ruling over Hindus. Even better. Better in lifting micro, nano toys. ISRO must ask France to send a 4.5 tonne India satellite. China can lift 25 tonnes compared to India's 4 tonne midgets. India will NOT be able to achieve parity with China this way in a PIECE MEAL fashion. All round development required including building of a strong technological infrastructure. India should shed its PSEUDODEMOCRACY first if there is to be progress.China is a technoeconomic GIANT. India won't be able to get anywhere within firing range of the dragon unless it sheds its PSEUDODEMOCRACY first.